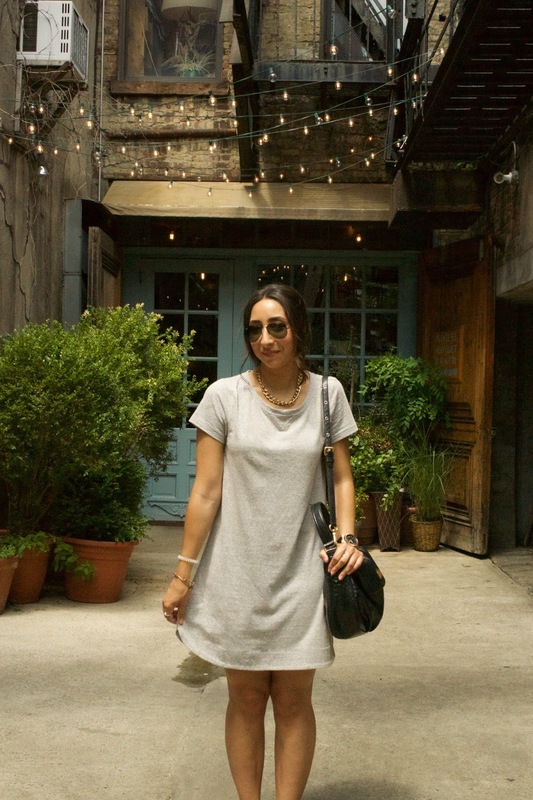 On one of the hottest days so far this summer, this grey t-shirt dress was perfect and cool. 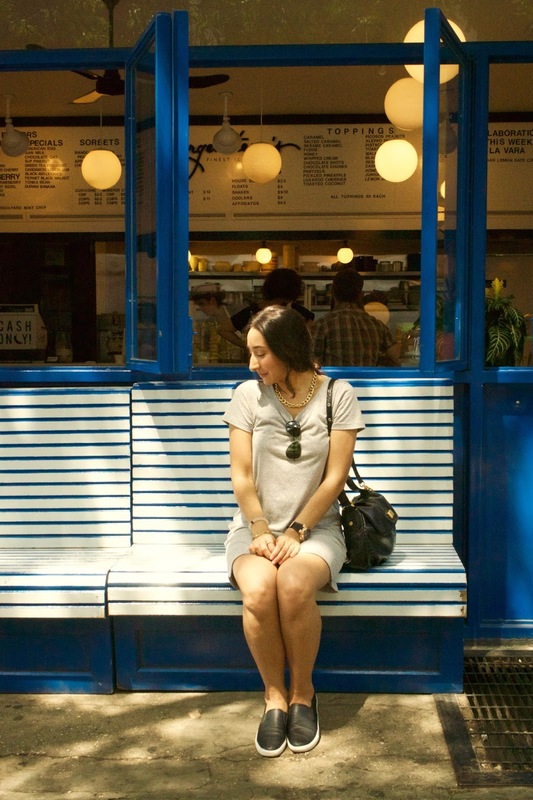 T-shirt dresses are just so easy to style up or just slip on for an effortless and simple look in a pinch. I dressed this one from The Gap Factory Store (now on sale for $23!) up with a gold chain necklace, but gave it a casual twist with these slip on van look-a-likes. I kept with the black and gold accessories with my bag, sunglasses, and watch. I hope you love this look as much as I do and look out for any t-shirt dresses when you’re shopping. They’re definitely one of my must-haves this summer!